QR code short Quick Response Code is a two-dimensional matrix type barcode. Designed by the automotive industry in Japan has gained popularity due to its large storage capacity and fast readability. It has become very common in the mobile industry where you scan a QR code to download an application. QR code is detected as a 2-dimensional digital image. There are plenty of apps that take an image of the QR code using the device camera and process them. In this topic, ZXing is the most popular library in both generating and reading the QR code. The weakness of this library only it's size: too big, many features and integrating process is much complicated, not suitable for the tiny/simple applications. So, in this post, I will present the way to generate a QR code from String input in Android by using an other external library (named QRCodeGenerator) which convenience and tiny are featured. You will have a QR code image in Bitmap format! 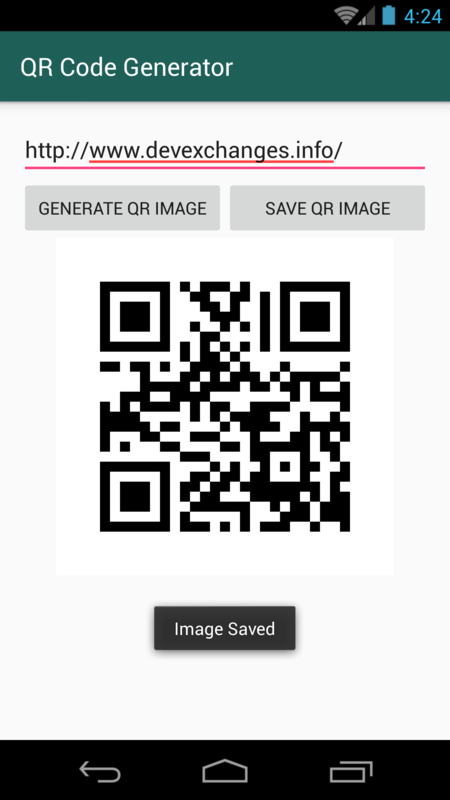 That's all about generating QR code in Android. With some simple steps, now I have an own QR code for my website. Reading QR code or barcode is so simple with ZXing (I had a post about reading barcode HERE, so absolutely similarly, you can use this library to read the QR code).